Skin masks are a real treat for your skin: they deep cleanse, slough away dead cells and leave you with a healthy glow. And what's more, you can easily make home made skin masks with the ingredients you'll probably find in your cupboard. 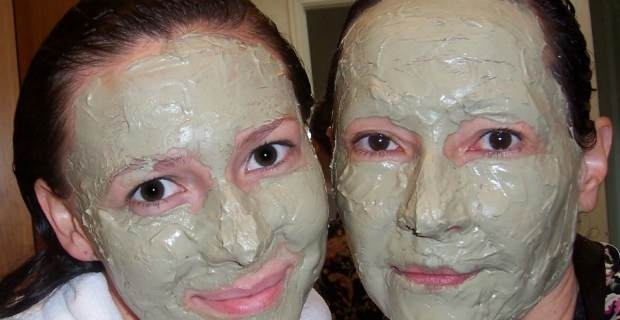 Here are some top recipes for making your own face masks. The combination of coffee and cocoa can brighten a complexion and really wake up your skin (think of the caffeine, after all!). Mix together four tablespoons of finely ground espresso beans, four tablespoons of unsweetened cocoa powder, eight tablespoons of unflavoured yoghurt and two tablespoons of honey. Then apply a generous layer to your skin and allow it to dry completely before washing off with a warm cloth. Strawberries are a natural source of salicylic acid, which is one of the most effective treatments for acne prone skin. The yoghurt is a natural soother, and combined the products should help to calm and clear your skin. Just mix together a quarter of a cup of fresh strawberries and a quarter of a cup of natural yoghurt. Leave the mask on for around 15 minutes. This face mask is ideal for dry or mature skin. Mash half a ripe avocado with a quarter of a cup of honey. Apply to your skin and leave for around 10 minutes before washing off with a cool wash cloth. Follow the mask with a good moisturising cream for maximum effect.